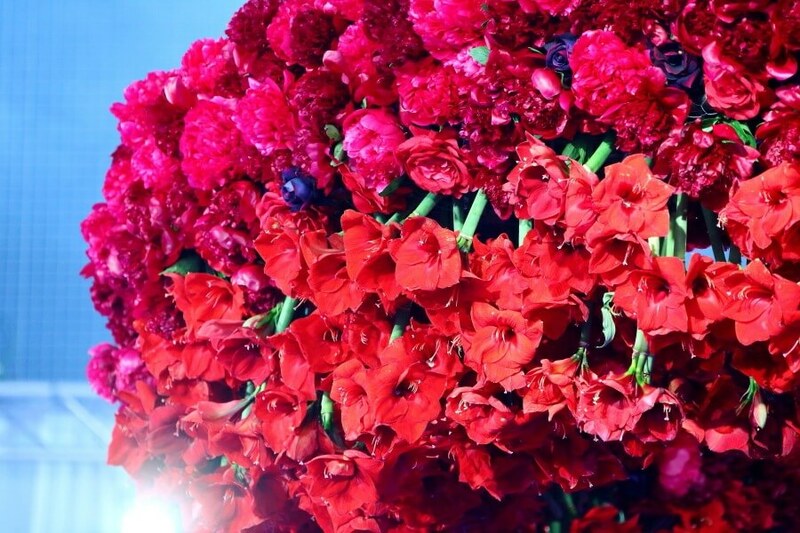 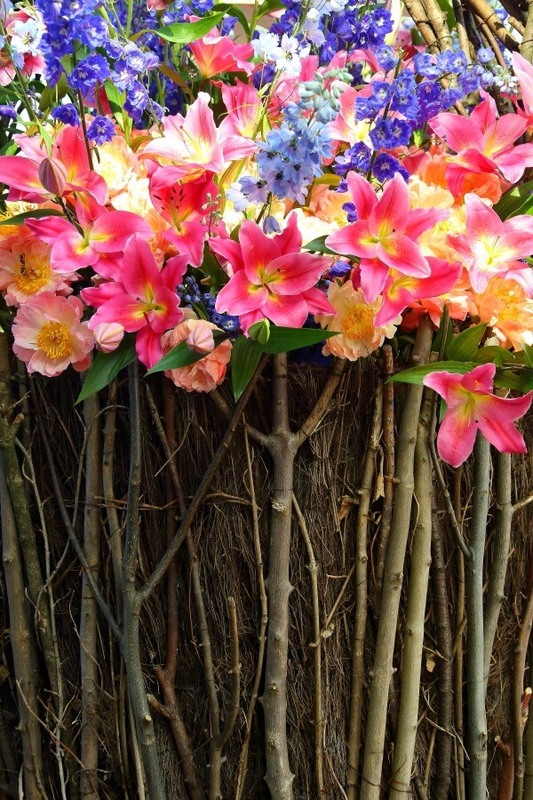 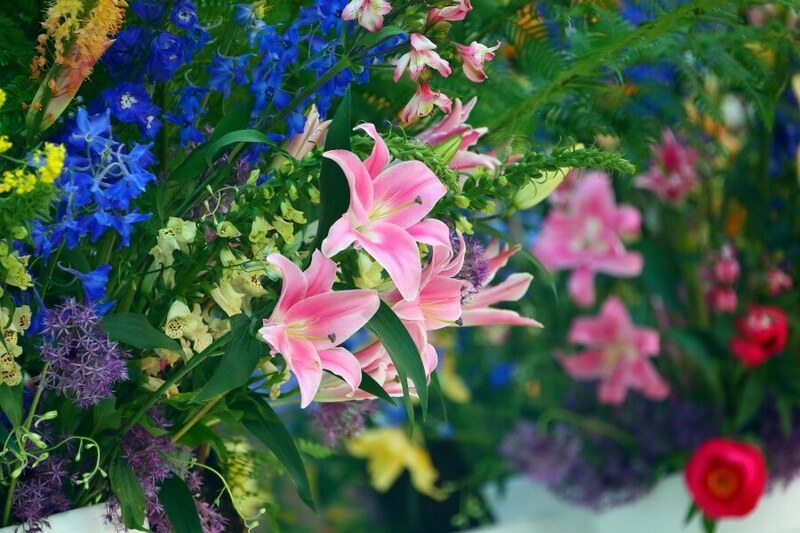 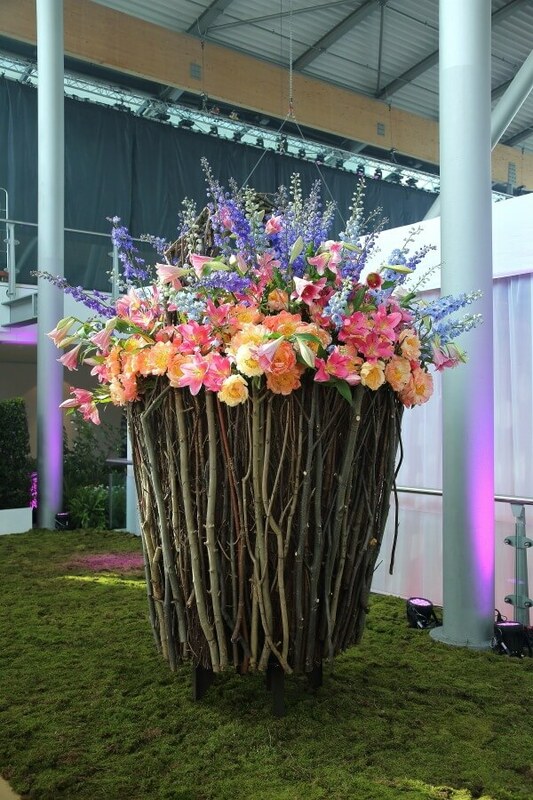 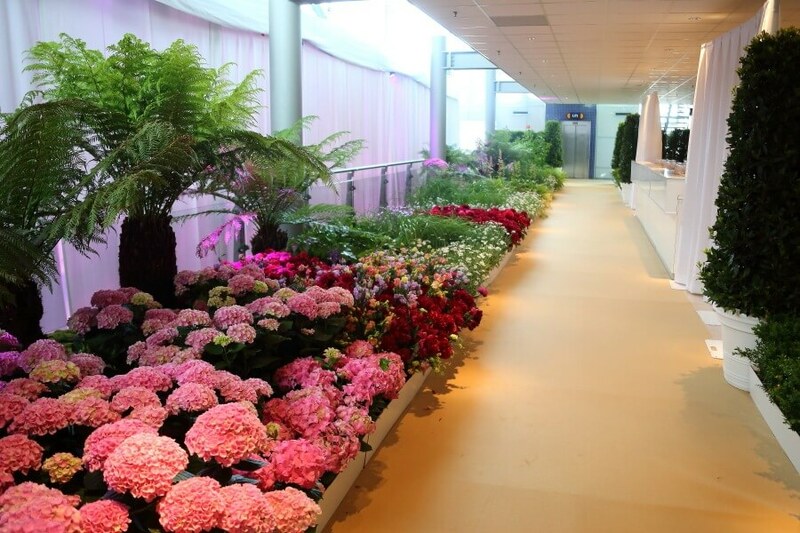 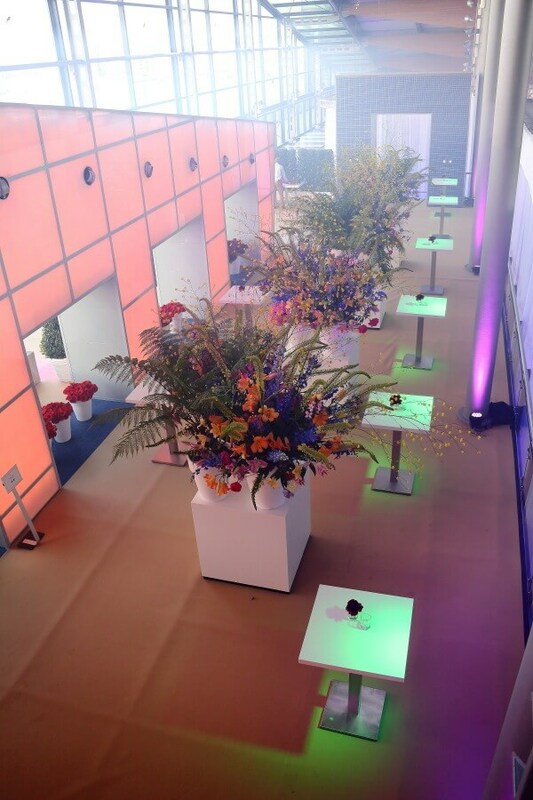 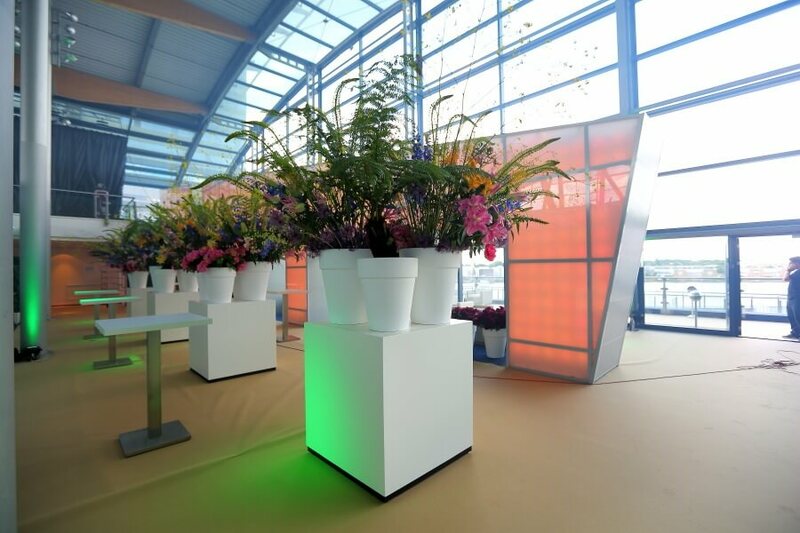 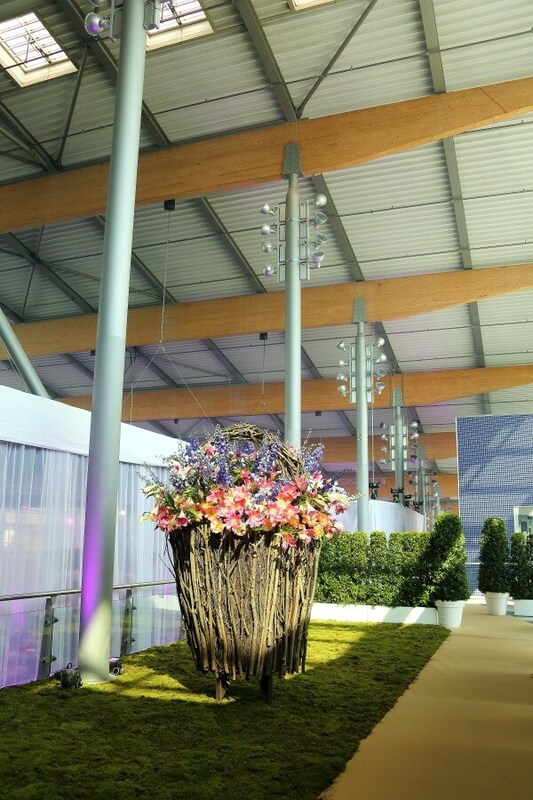 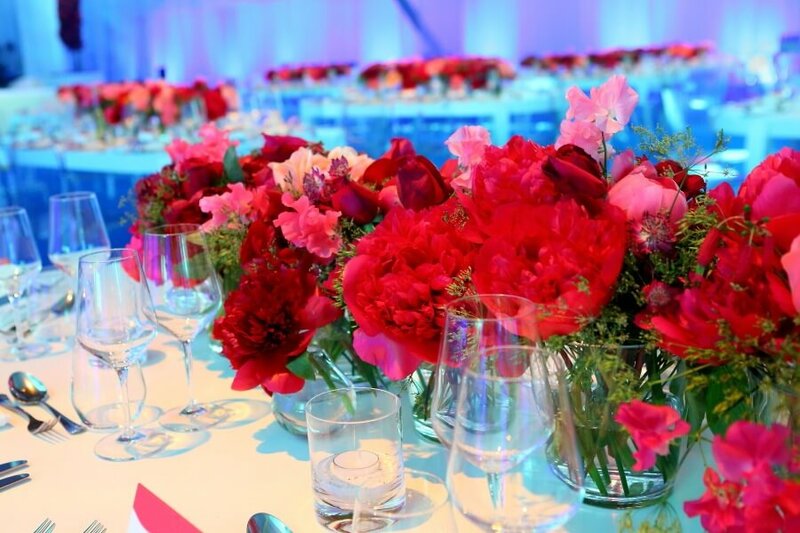 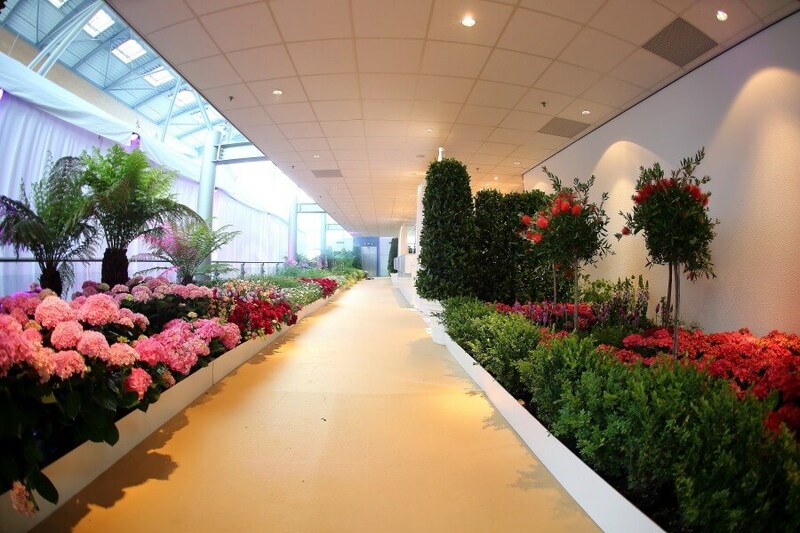 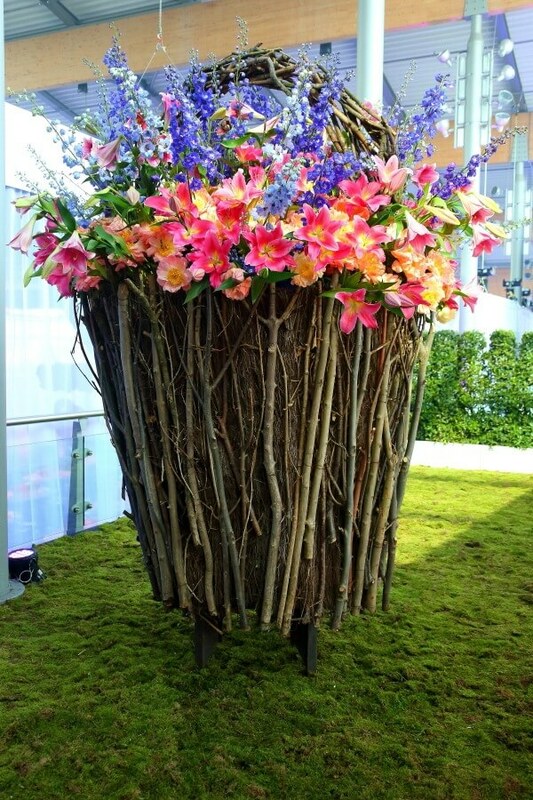 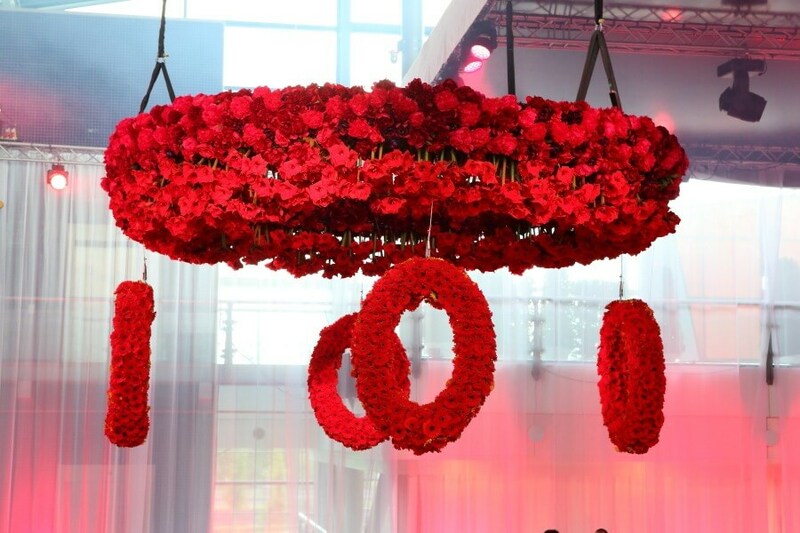 Floral decorations for a private event in the Passengers Terminal in Amsterdam. 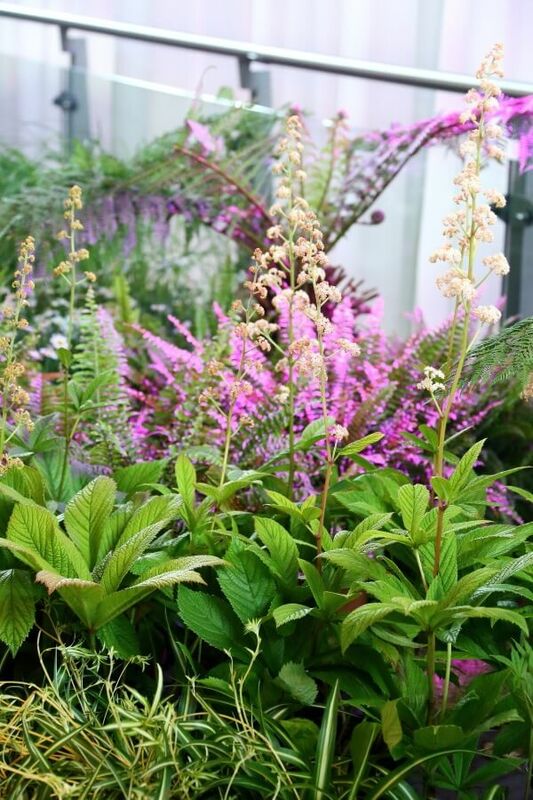 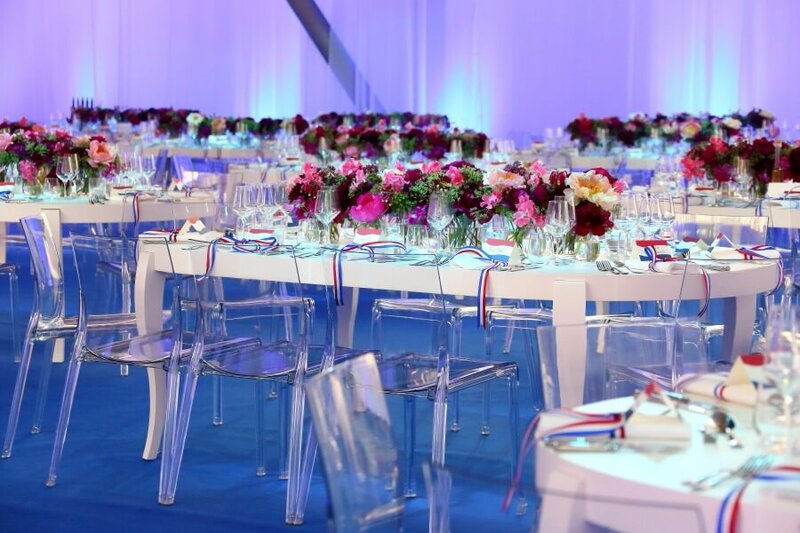 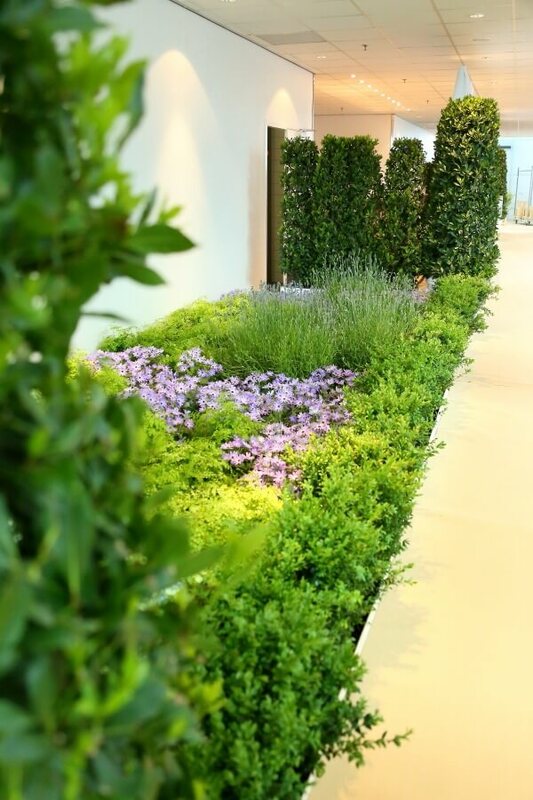 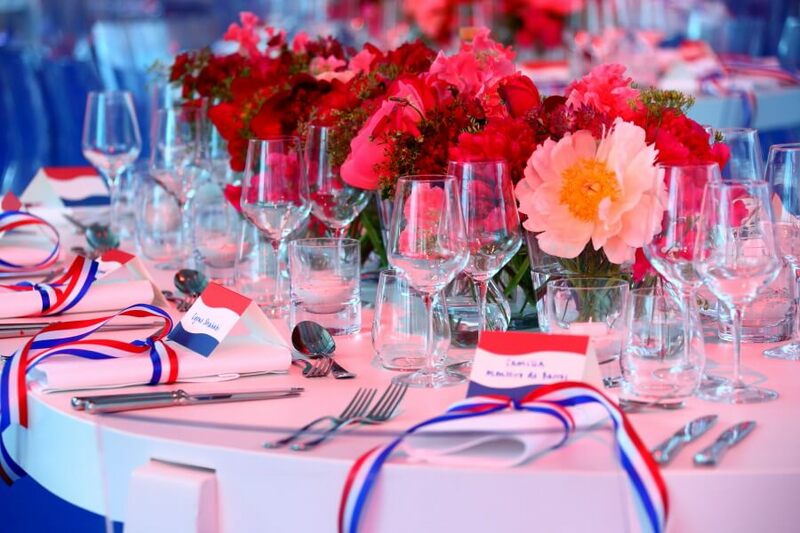 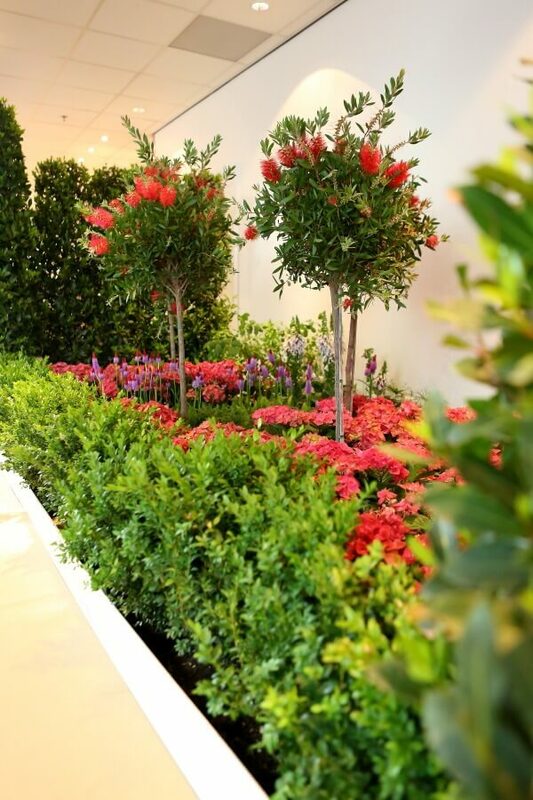 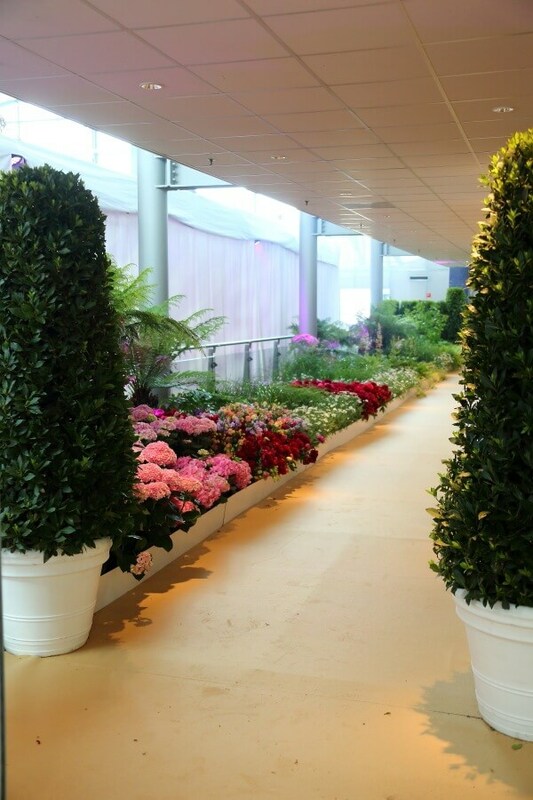 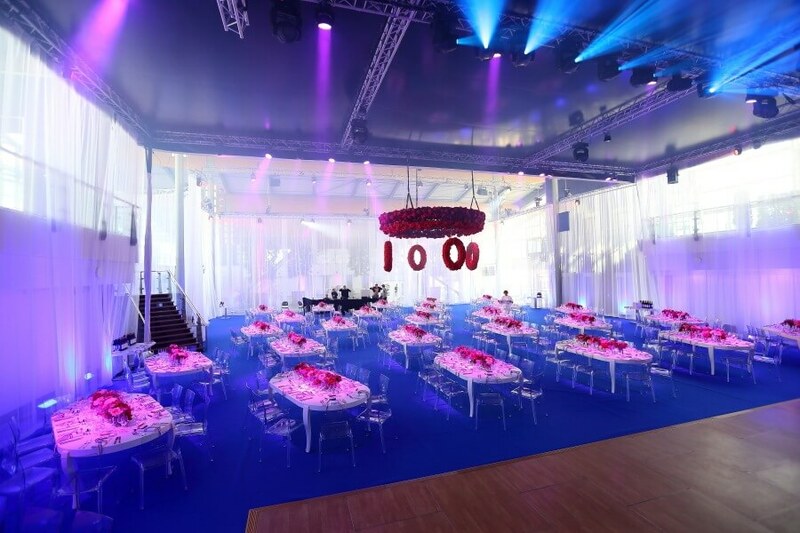 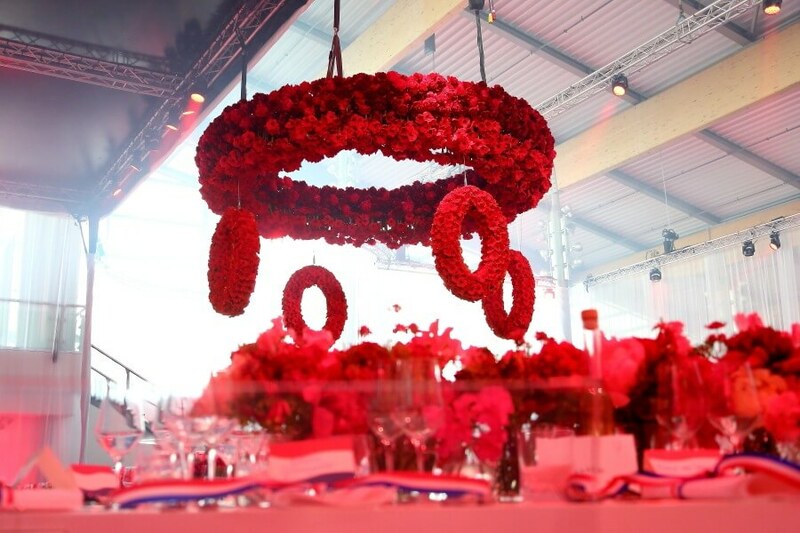 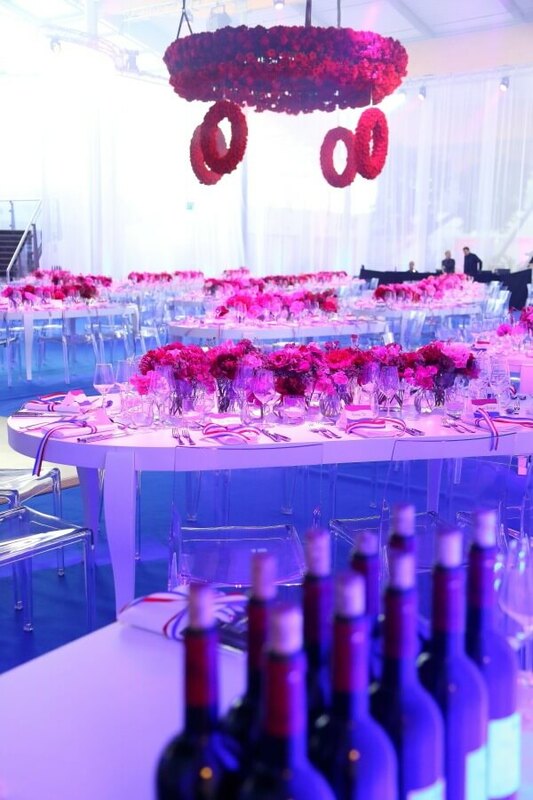 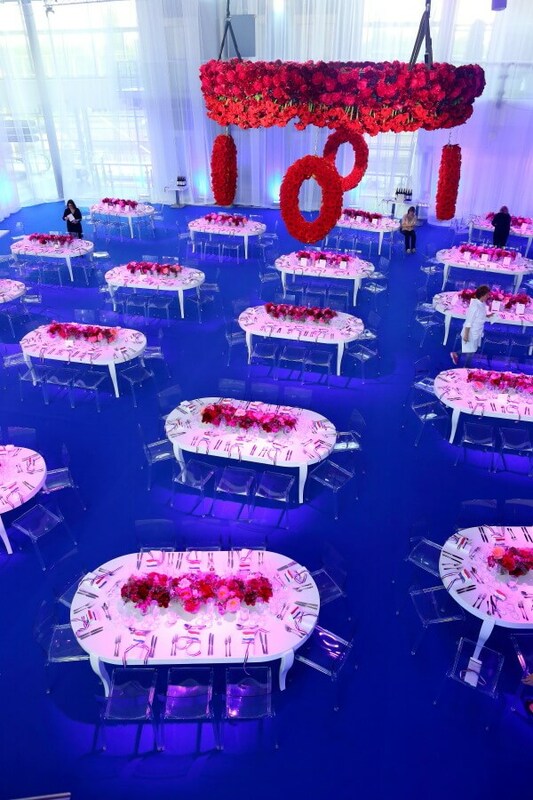 We created ‘gardens’ in the pathways, large arrangements for the chill area and dinner decorations in the colours of the Dutch flag red/white/blue. 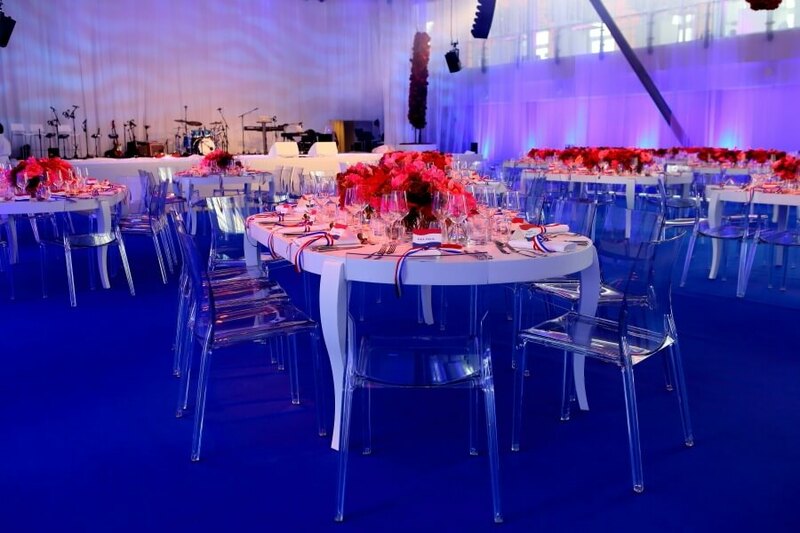 Collaboration with Party Rent, photos courtesy of Party Rent.